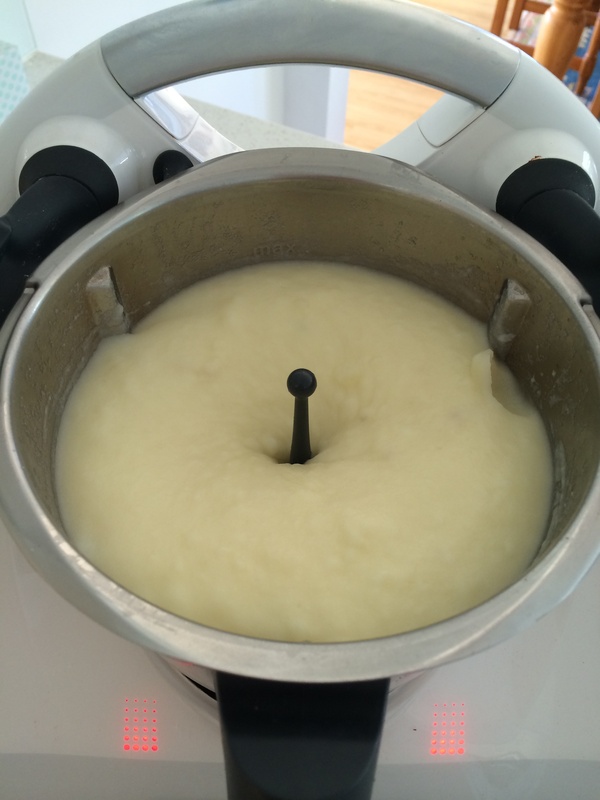 The thermomix guided mash potatoes are excellent. It’s so convenient , you add the cut potatoes, milk, butter and salt all together at the beginning and the thermomix does all the work. ( the trick is to cut the potatoes into the 1cm/2cm dice, so it cooks soft and mashes easily with the butterfly in) There’s no need to drain the potatoes, no need to stand by the stove to make sure it doesn’t boil over and it’s a quick whip at the end to finish. If they’re not soft enough, just reset the cooking for another five minutes. When they’re falling apart, turn the speed dial and whip. Then enjoy fluffy, silky smooth mash potato. A couple times I have cut potatoes too big and not checked they were soft enough and ended up with lumpy partially raw mash but just whizzed with the butterfly out to fix. Note: need to make sure the butterfly is set securely in place for this recipe. Turn the butterfly anticlockwise to hook slightly under the blades before you add the potatoes, have had the butterfly stray off the base by the movement of the potatoes but found that as long as the potatoes are well cooked before the whipping it all settles fine.